We offer two core programs: Athletica and CrossFit. Athletica is a uniquely accessible fitness programme which uses natural movement to cover the key components of fitness. It mixes cardio, strength training and high impact exercises, adaptable to your personal level and goals, in an environment that is fun and energetic under the guidance of one of our experienced coaches. CrossFit is a competitive and measurable fitness programme. This means that you can measure your progress across a number of defined, high-intensity movements, adapted from weightlifting, gymnastics, running, rowing and more. Not only does it lead to a dramatic uptick in fitness, but the camaraderie in our community and expert guidance from our dedicated coaches will have you counting the hours until your next session, despite the inevitable aches and pains. Athletica members can take Athletica, Athletica Stronger, Athletica Beats & Athletica Run classes. CrossFit members can attend all Athletica classes as well CrossFit, Olympic and Open Gym. Competitive CrossFit athletes who pass strict standards can attend our RX classes. Everyone can take Skills Classes. Athletica is a uniquely accessible fitness programme which uses natural movement to help people achieve their goals, whether that’s weight loss, strength or general fitness. It mixes cardio, strength training and high impact exercises, adaptable to your personal level and goals, in an environment that is fun and energetic under the guidance of one of our experienced coaches. Core Athletica classes last for an hour and run multiple times a day. Athletica Membership is £155/month for all classes or £125/month for evenings & weekends only. Athletica Beats is a heart-rate monitored, high-energy group workout. Designed to keep your heart rate in a specific target zone, it spikes metabolism and boosts energy, not only during the class but afterwards as well. It involves cardio machines, body weight exercises and light weights done in short bursts as a team. The MyZone state-of-the-art system displays each members effort in class , features an online leaderboard and gives members an app that can be used to monitor progress against individual goals. Athletica Beats classes last for an hour and run multiple times a day. 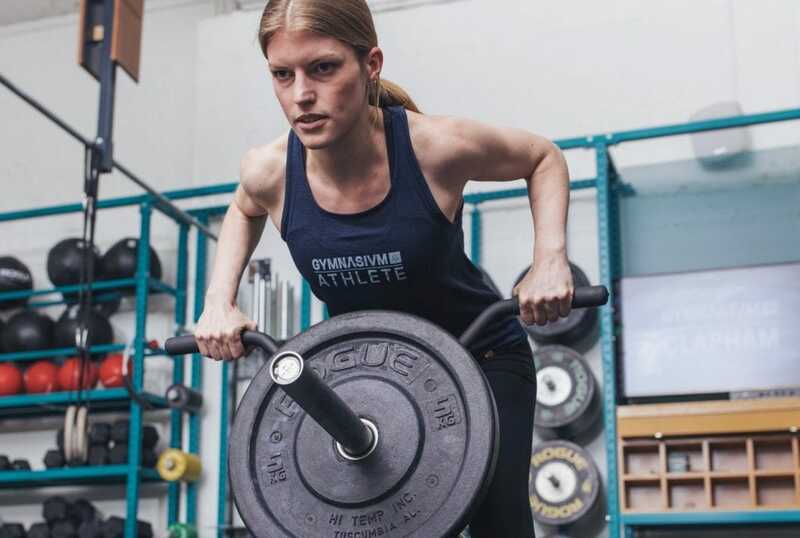 Take the great Athletica atmosphere and add it to strength training…and this is what you get! Small groups, focussed solely on strength training with an expert coach guiding every aspect of the workout. This is a great, supportive session for anyone who’s looking to improve their strength, whether for sport or just being better at opening stubborn jars. We don’t stop playing because we grow old; we grow old because we stop playing. Gymnasiums senior programme is a specific programme designed for adults who want to stay active in later life. Whether it is keeping yourself in shape or getting back some of that fitness you have lost this programme is for you. We mix cardio, strength and mobility work under the expert guidance of our coaching team. Classes run for an hour Mondays and Wednesday at 3pm. Athletica Seniors Membership is £80/month or £100 for a 10 class pack. We know how hard it can be to find time to exercise and to know what exercise to do, especially with a little one in tow. That’s why we have designed a class especially for postnatal Mums (with new Dads very welcome too). We have carefully selected exercises led by a fully qualified coach with a nanny present to create a safe environment for the kids in an adjoining studio. Classes run for an hour Mondays, Wednesday and Fridays at 10am. CrossFit is a competitive and measurable fitness programme. This means that you can measure your progress across a number of defined, high-intensity movements, adapted from weightlifting, gymnastics, running, rowing and more. Not only does it lead to a dramatic uptick in fitness, but the camaraderie in our community and expert guidance from our dedicated coaches will have you counting the hours until your next session, despite the inevitable aches and pains. Read more about CrossFit. Our CrossFit class last for an hour and run multiple times a day. CrossFit Membership is £205/month for all classes or £175/month for evenings only. This is our Olympic Lifting class…and does exactly what it says, focusing solely on this ancient discipline, teaching members new movements they haven’t encountered before, with specific blocks for different disciplines and expert coaches on-hand to help chart individual development plans and progression. It’s a great way to build strength in different parts of the body and get into a new sport. Specifically designed for young athletes, CrossFit Kids combines gymnastics, body-weight calisthenics, and weightlifting to increase balance, agility, speed, power and coordination – an invaluable foundation for any sport.